Governor Christie signed P.L. 2011, c. 78 into law, effective June 28, 2011. This law provides for changes to the manner in which the State-administered retirement systems* operate and to the benefit provisions of those systems. The law also changes the manner in which the State-administered Health Benefits Programs* operate and the employee contribution and benefit provisions of those programs. *Retirement systems include the Public Employees' Retirement System (PERS), Teachers' Pension and Annuity Fund (TPAF), Police and Firemen's Retirement System (PFRS), State Police Retirement System (SPRS), and Judicial Retirement System (JRS). 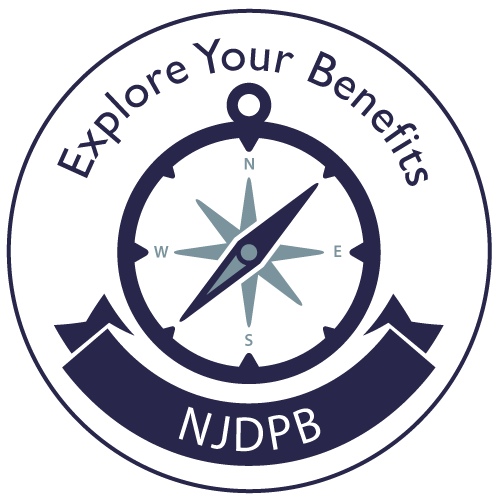 Health Benefit Programs include the State Health Benefits Program (SHBP) and School Employees' Health Benefits Program (SEHBP). The following is an outline of the major pension provisions of P.L. 2011, c. 78. The PERS employee pension contribution rate was increased from 5.5% to 6.5% of salary. Additional increases will be phased over the next 7 years to bring the total pension contribution rate to 7.5% of salary. The initial increase was effective with Pay Period #21, 2011 for State employees paid through State Centralized Payroll t. For all other employees, the increase was effective with the first paycheck paid on or after October 1, 2011. The phased increase from 6.5% to 7.5% will be applied equally over a 7-year period which began July 2012. The contribution rate will increase by 0.14% each year beginning with the first payroll of July 2012 until the 7.5% contribution rate is reached in July 2018. For PERS Prosecutors Part members, the employee pension contribution rate was increased from 8.5% to 10% of salary. This was effective in total with Pay Period #21, 2011 for State employees paid through the State Centralized Payroll Unit, and with the first payroll check that was paid on or after October 1, 2011, for all other Prosecutors Part members. Service and Deferred Retirement — The Tier 5 Service or Deferred Retirement age was increased to age 65. Early Retirement — Available to Tier 5 members with at least 30 years of service credit. The Early Retirement benefit is permanently reduced by 3% for each year the Tier 5 member is under age 65 at the time of retirement. Note: The retirement formula, final average salary, maximum work hours for enrollment, and other provisions of PERS Tier 5 membership were unchanged from those of PERS Tier 4 membership — as established under P.L. 2010, c. 1 and c. 3. The TPAF employee pension contribution rate was increased from 5.5% to 6.5% of salary. Additional increases will be phased over the next 7 years to bring the total pension contribution rate to 7.5% of salary. The initial increase was effective with the first payroll check that was paid on or after October 1, 2011. The phased increase from 6.5% to 7.5% will be applied equally over a 7-year period which began July 2012. The contribution rate will increase by 0.14% each year with the first payroll of July 2012 until the 7.5% contribution rate is reached in July 2018. Note: The retirement formula, final average salary, maximum work hours for enrollment, and other provisions of TPAF Tier 5 membership are unchanged from those of TPAF Tier 4 membership — as established under P.L. 2010, c. 1 and c. 3. The PFRS employee pension contribution rate was increased from 8.5% to 10% of salary. This increase is effective in total with the first payroll check that was paid on or after October 1, 2011. Special Retirement — The benefit calculation for a PFRS Tier 3 Special Retirement is changed to 60% of Final Compensation for 25 years of service plus 1% of Final Compensation for each year of creditable service over 25 years but not to exceed 30 years. The maximum Tier 3 benefit is therefore 65% of Final Compensation. Note: Final Compensation for PFRS Tier 3 membership is unchanged from the average annual compensation for any three fiscal years of PFRS Tier 2 membership — as established under P.L. 2010, c. 1 and c. 3. The SPRS employee pension contribution rate was increased from 7.5% to 9% of salary. This increase was effective in total with Pay Period #21, 2011. For JRS members the employee pension contribution rate will see a phased increase of an additional 9% of salary over 7 years, which began October 2011. The contribution rate will increase by 1.28% each year until the additional 9% contribution rate is reached in July 2017. Pension Committees to be established — When a "target funded ratio" for the retirement system, or part of the retirement system is achieved, eight-member pension committees for State PERS; Local PERS; TPAF; and the SPRS, or 10-member pension committees for the State PFRS and Local PFRS will be established. Half of the members of each committee will be appointed by the Governor to represent public employers and half appointed by certain unions whose members are in the retirement system. When the "target funded ratio" for the system or part of the system is achieved, each committee will have the discretionary authority to modify, by duly promulgated regulations, the: member contribution rate; formula for calculation of final compensation or final salary; fraction used to calculate a retirement allowance (PERS and TPAF); age at which a member may be eligible and the benefits for Service or Early retirement; and benefits provided for Disability retirement. A committee will not have authority to change the number of years required for vesting. Cost-of-Living Adjustments (COLA) were suspended for all retirees of all retirement systems. No further COLA increases will be granted; however, the provision does not reduce any benefit for COLA increases that were already made to retiree benefits prior to the effective date of the law. The amount of money retirees currently receive each month will not be reduced by this law. Chapter 78 provides for the establishment of Pension Committees which may consider reinstating the COLA when the retirement system reaches a “target funded ratio” established by the law. At that time, the Pension Committees are to give the reactivation of the COLA priority consideration. “Target funded ratio” means a ratio of the value of assets against the accrued liabilities of 75% and increasing annually by equal increments over seven fiscal years to a ratio of 80%. The following is an outline of the major health benefit provisions of P.L. 2011, c. 78. Set new health benefit contribution amounts towards the cost of employee coverage. Effective all public employees were required to contribute a certain percentage of their health benefit premiums. The percentage rate of contribution is determined based on the employee's annual salary and the selected level of coverage. The increased employee contributions were phased in over a 4-year period with a minimum contribution required to be at least 1.5% of salary. Contributions toward health benefits in retirement are based on the provisions of the law and the member's attainment of 25 years of service credit after the effective date of the law. Established a 12-member Plan Design Committee for the SHBP. The SHBP Plan Design Committee will provide several plan options for each level of coverage, in addition to a high deductible health plan (HDHP) that satisfies the requirements under section 223 of the Internal Revenue Code, which began January 1, 2012. The SHBP Plan Design Committee also set SHBP copayments, deductibles, and other participant costs beginning January 1, 2012. Established a 6-member Plan Design Committee for the SEHBP. The SEHBP Plan Design Committee will provide several plan options for each level of coverage, in addition to a high deductible health plan (HDHP) that satisfies the requirements under section 223 of the Internal Revenue Code, which began January 1, 2012. The SEHBP Plan Design Committee also set SEHBP copayments, deductibles, and other participant costs beginning January 1, 2012. Requires all public employers, including local government employers and boards of education, to establish a flexible spending arrangement (FSA) that satisfies the requirements under Section 125 of the Internal Revenue Code for reimbursement of medical and dental plan participant costs. Note: The State's Section 125 plan, Tax$ave, is not available to local government or local education employers. These employers must arrange and provide their own Section 125 plans.